Why BIAS TUGAL BEACH is special ? Bias tugal beach is a great white sandy beach. This is a deserted beach that is one of the best kept secret place in Bali where you are not annoyed by the crowd of local and tourists as normal. You can walk to a rockey path only 500m. 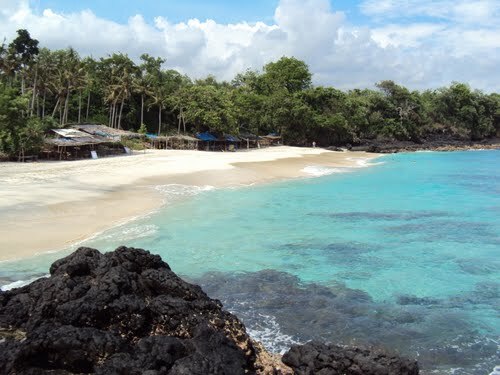 After, you will be greeted with stretches of white and beach and sparkling blue sea with swaying coconut trees. Especially, snorkeling and swimming with stretch of grainy, soft and flour-like white sand is perfect because a scenic landscape offers a water sport experience for the enthusiasts. What to explore at BIAS TUGAL BEACH? In bias tugal beach, you can dive to discover clown fish, turtles, octopus, lionfish,….. And should try your hands snokelling with small wave. Besides, padangbai hotel is good and fresh to relax and stay with a great architecture. You do not miss sunset and roam on the beach together. Swimming is great for swimmers. Sate lilit is a special food in bali, it is made from seafood. You should come in spring because these time, you can understand culture more such as: wordship. How to get to BIAS TUGAL BEACH? - From the ferry terminal of Padang Bai, head east up the hill and keep walking till you come across an exposed bit of the bay. - 1 hour by car and 5 minutes by traditional boat. There are some beach activities for you to choose. If you can, try to get up early to admire sunset. It's not really safe to swim too far away from the coast. Beautiful beach but not easy to reach. Strong surf and current happens a lot. The excellent snorkeling when waters are calm.